Matching your need with cutting edge solutions is a challenge we take up with you. Why upgrade to TIMEZERO latest generation? TIMEZERO comprises our range of products for both the recreational and professional markets. Our range of professional software has been merged into one product that englobes each of the market needs as well having added new features to make sure you can get the best out of your work. 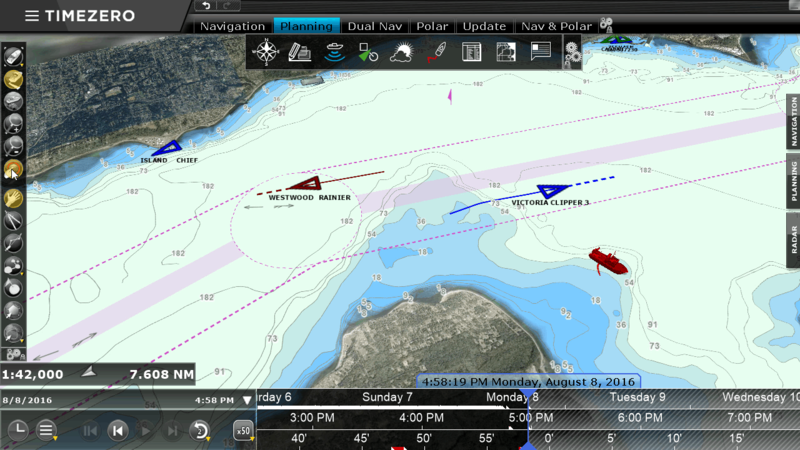 The recreational market product has been rebranded as TZ Navigator and is packed with new features. We encourage all previous version users to upgrade to the new, improved TIMEZERO range, in order to have the safest and most up-to-date navigation system. Whatever your software version or type of use, we have the solution for you. This page displays the organic evolution of each TIMEZERO product while demonstrating the new and more powerful features with their hardware compatibility. You will find out how your old product has evolved and what you have to gain by upgrading as well as the great value for money on upgrades. See how your favorite features work in conjunction with new features to make for an altogether more trustworthy, comfortable and easy navigating experience. Important Notice: Please note sales and support of our previous product line (versions v12 and earlier) have been discontinued since January 1st, 2014. TIMEZERO technology is, without any doubt, the future of our range of products. Our previous version won’t be updated anymore, neither software nor charts. All our technical resources are now oriented towards TIMEZERO technology. What software have you been using until now? What's the difference between Version 12 and TIMEZERO? 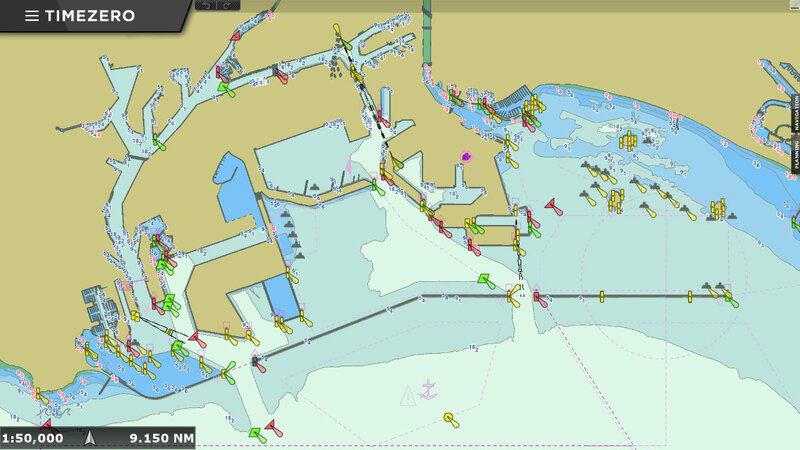 When you purchase a marine chart in Raster or Vector format with TIMEZERO, you can be sure you will have access to the latest version available. The charts used in TIMEZERO’s previous software versions have not been updated since 2008! 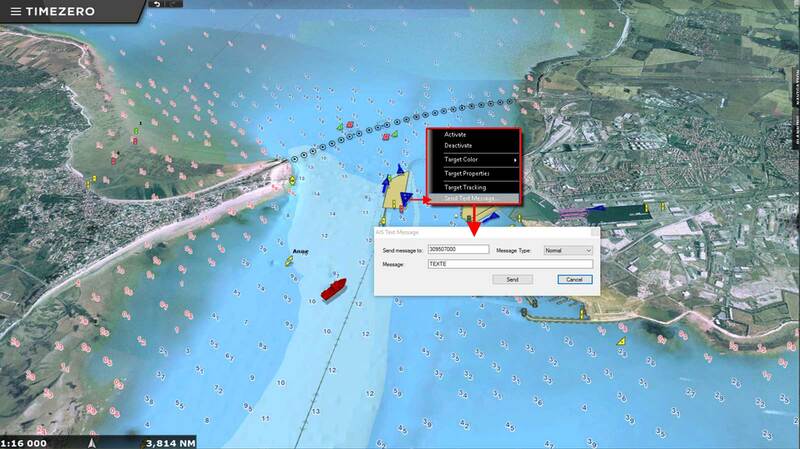 The weather module is now included, offering the possibility to receive and display unlimited and free weather forecasts within your marine navigation software. AIS and AIS online modules are included. An Internet connection will also allow you to see AIS traffic worldwide! The enhanced Routing Module is transferred automatically if it was already added to your previous software version. If you have any questions, we can contact you! Why should you bother to upgrade your TZ Navigator you ask? We hear you. Having a software that is beautiful and easy to use has always been important to us, that’s why we are on a never ending search to create a tool that is that much easier to grasp. We have given TIMEZERO a face lift staying true to our vision of always being at the forefront in the evolution of marine navigation software. Our software is now fully operational for touch screen PC! All of the dedicated tools that can be used with the selected WorkSpace. It is easier than ever to choose which chart layers you would like to have selected. Our new Odometer NavData will automatically display your trip information including duration, distance, max speed and average speed. Not only have we changed the cosmetic side, we also revamped its safety features that are designed to give you peace of mind. Because the little things make a difference. 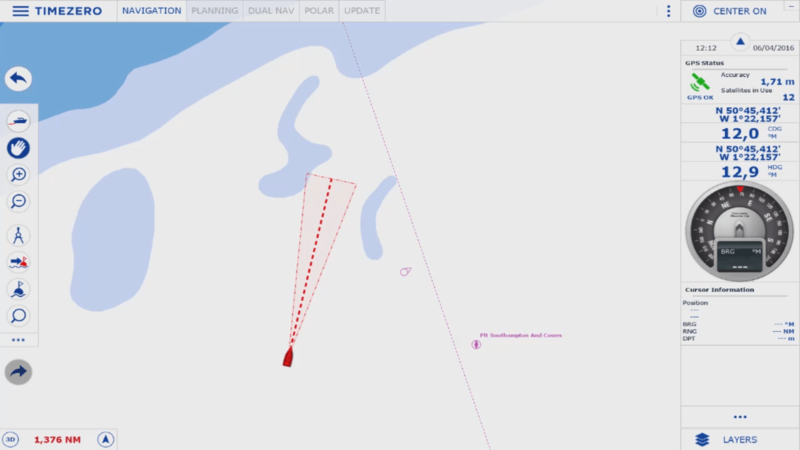 We updated the following: Odometer, Print Route detail, Possibility to link two routes, Better control of Tidal Currents computation in Planning and Active Route, NMEA2000 priority, Sensor Offset and Damping. Why upgrade TZ SportFishing / TZ Catch / TZ Plot to TZ Professional? If you’re always looking to get an edge in searching out the best fishing software tools then TZ Professional is the upgrade for Sport fishing and Commercial fishing (TZ Plot / TZ Catch / TZ SportFishing) that will take you further. New features plus improvements made across the board so that you can take your activity to a higher level of precision! New features plus improvements made across the board so that you can take your activity to a higher level of precision! But how you ask? Let’s take a look! 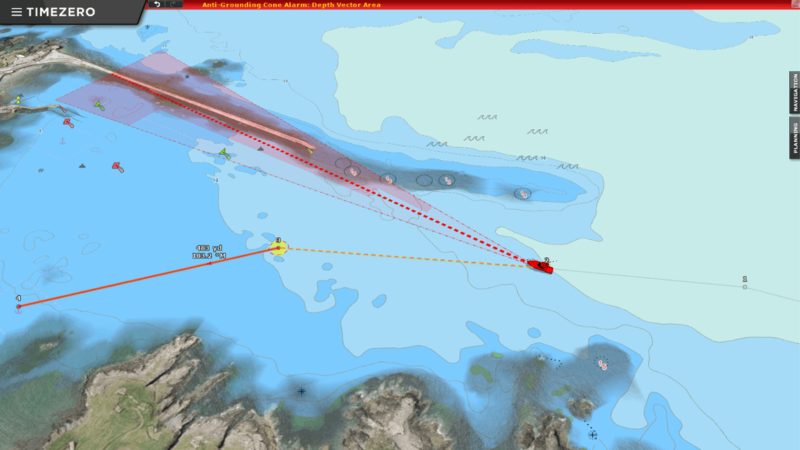 This new Fishing Workspace is exclusively dedicated to you, the commercial fishing and sport fishing navigators (PBG module required). 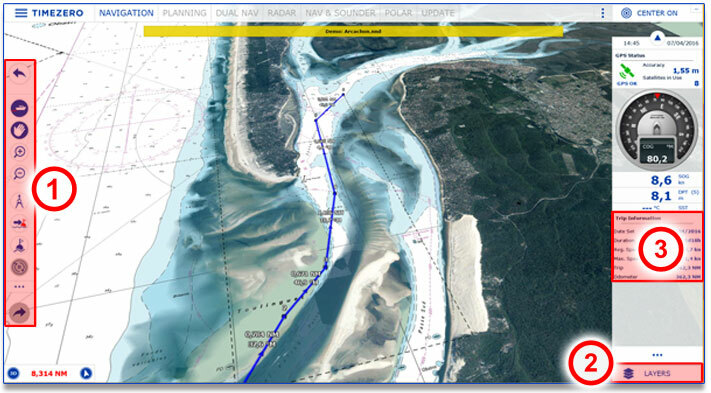 It simplifies the adjustment of the display settings for bathymetry and depth lines. 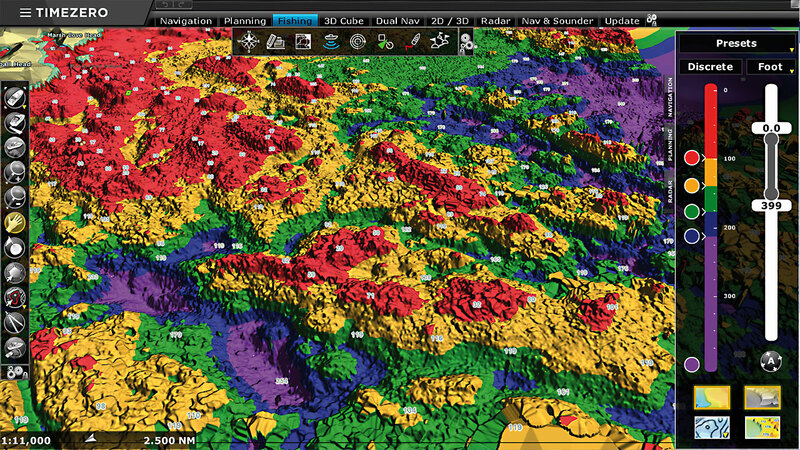 You can now customize the seafloor display with unlimited color scale in the « Discrete » range. One of the greatest parts of this new feature is how easy it is to select and display the bathymetry of a certain depth range. Once the fishing area has been configured, you can manually configure the contour lines to be as precise as 0.2m which will display a new contour line up to every 5th contour. Moreover, if the bathymetry is not easy to see, depth lines can be manually color coded which is important if you want to be as precise as a Swiss watchmaker. This key feature, by default, centered on the boat with possibility to adjust according to the heading. You can Zoom/Dezoom and moving of the view directly in the 3D Cube Workspace. 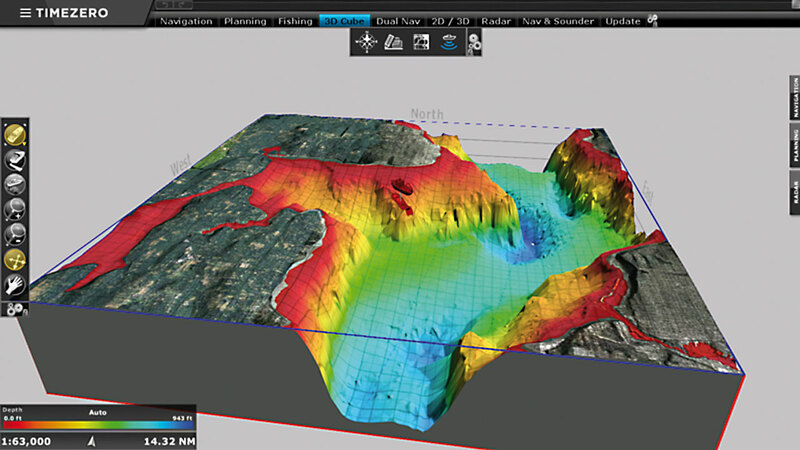 You get a more accurate rotation of the 3D view, for a better seafloor analysis. The exaggeration factor (Auto and Manual) is improved to adapt the view to all types of under water reliefs. Get to know the best fishing areas like the back of your hand with a resolution that has been increased two-fold (now 1.5m x 1.5m). If you’re looking for a tool that provides a way to extrapolate PBG data automatically in real time with seamless customizing of brush size, then you have found it. Displaying PBG data using sounding data onto the chart with a scalability that will suit you is now possible with the new “PBG Sounding” function. Another new function allows for automatic detection and removal of bad PBG data which take out the tedious work from your daily schedule. And just one more of the many improvements with the new PBG module is that you can edit the 3D imported database (no longer limited to just the user data). 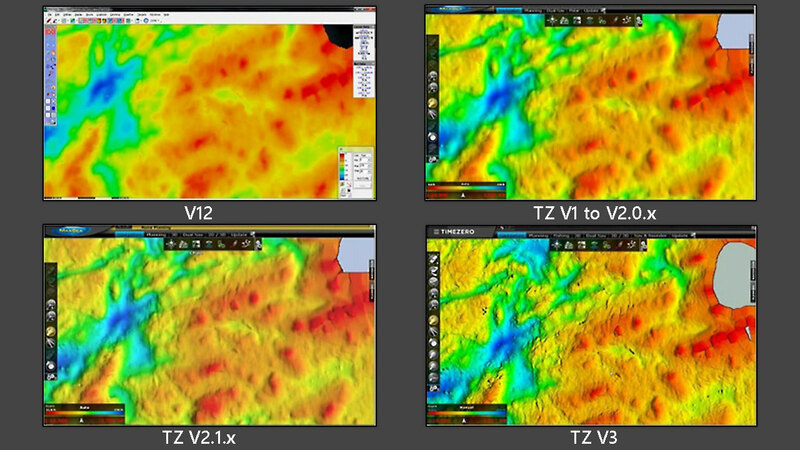 Get the advanced AIS features with TZ Professional. You can configure your AIS class A settings with the AIS MKD feature to set up the status of an AIS class A directly within TZ Professional! We have rethought the way AIS class A status and messaging should take place to make life easier and created a simple dialog box in which you can enter and modify AIS voyage status, as well as send AIS text messages. 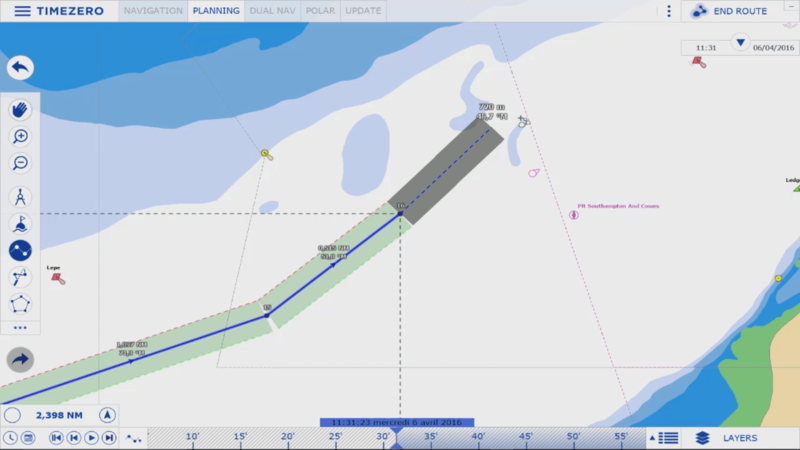 A route wizard is displayed when a route is created offering a calculation for the optimal route based upon tides and currents (optimal departure time, arrival at high tide, etc.). However well you may have planned out your route, it often only serves as a guideline as and when you end up straying from the path. This is why the Security Cone is so important. Configure in your settings the parameters of what you want your Security Cone to detect and be told in advance when a potential hazard presents itself. The alarm will alert you in real time and save you from disaster. Note that these features use information within the charts based on depth and vector chart objects (obstructions, wrecks, rocks, etc.) which means they do not need any additional hardware. Why upgrade from TZ ECS to TZ Professional? 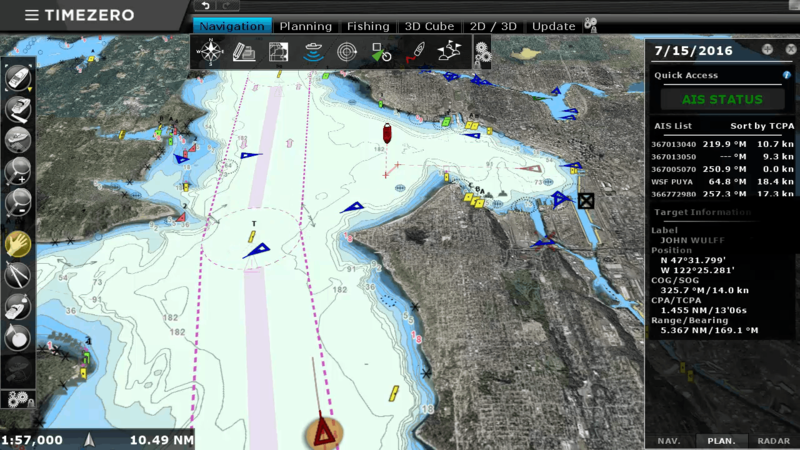 With TZ Professional you get an increased level of precise information that will keep your boat more secure than ever! More information and more capabilities mean that you can work better. You also get to keep the optimized User Interface that ECS had with TZ Professional. If you’re wondering what else you have to gain then let’s take a look! One of the new features that is getting our new users so excited is the ability to use S-63 vector charts straight into TZ Professional! While thinking about the aftermath of an incident isn’t exactly pleasant, it is crucial to be able to use all the information at hand to highlight where problems occurred. This module allows you to record, store and replay information of the connected devices: GPS, radar, AIS, etc. When preparing any route, for each waypoint added TZ Professional checks the information of the vector chart to know if the depth is sufficient for the safe passing of your boat (GREEN= OK / RED= DANGER). 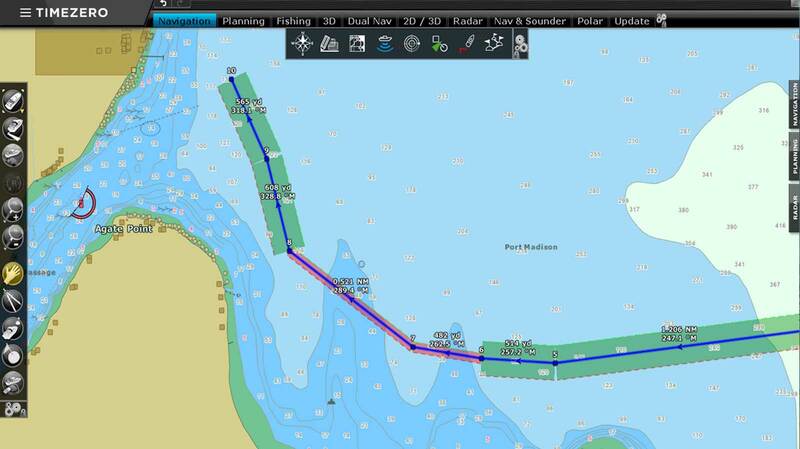 Safety Route Planning feature allows you to configure the settings of your boat's height and width so that when preparing a route, you can know in the simplest of terms if the route is safe or not. If you have any informations, we can contact you! Why upgrade from TZ Odyssey to TZ Navigator? First of all, our mantra is that your love of the sea and sailing should be equally matched by the enjoyment of having great marine navigation software. That’s why one of the objectives of TZ Navigator has been to make the interface more user friendly than ever. 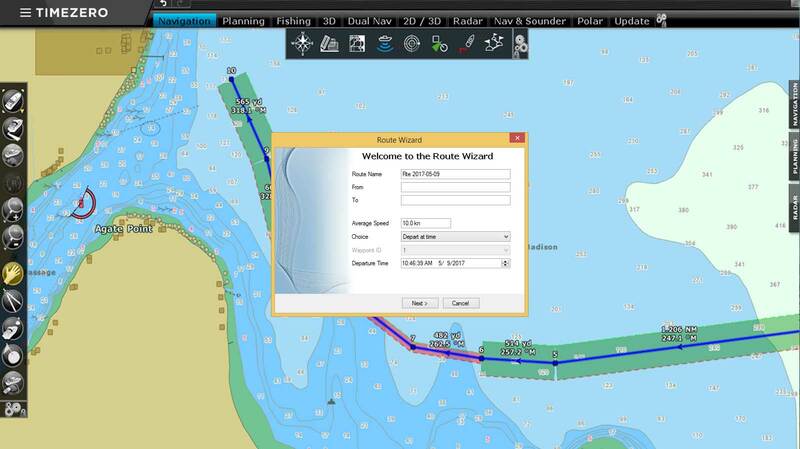 A route wizard is displayed when a route is created offering a calculation for the optimal route based upon tides and currents (optimal departure time, arrival at high tide, etc.). Lots of smaller features that specific customers could find very attractive: Odometer, Print Route detail, Possibility to link two routes, Better control of Tidal Currents computation in Planning and Active Route, NMEA2000 priority, Sensor Offset and Damping. Why upgrade TZ Trident to TZ Professional? With TIMEZERO Trident, you already had the optimized User Interface that you will keep enjoying with TZ Professional. This upgrade will also allow you using multiple monitors, Cameras, use Oceanic Weather data or display Fuel data as you may be used to. Wondering what you will gain in addition? Here we go!